You remember that fateful Thanksgiving many years ago, don't you? The whole family was over and your cousin was playing with your beloved Game Boy—until you heard the crash. Despite being in another room, you instantly recognized the sound. It was your Game Boy falling to its death. Technically, it still worked, but there were all those lines missing on the screen, and as far as you were concerned, your childhood friend was no more. You've never been able to express those feelings of loss, either. 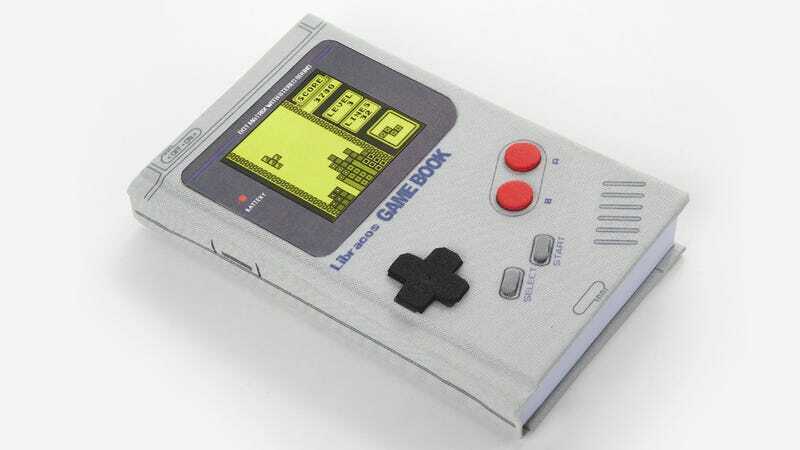 But now you can finally put them down on paper inside this lovely Game Boy-inspired notebook.